My dreams are now slowly transforming into reality. 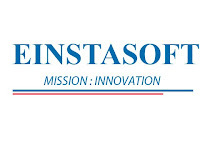 Phaneendra K N, my friend and I, recently started a Web Company called "Einstasoft". Web, here, doesn't signify website designing or web solutions. We strive to be an innovative web product based company and are currently working on a major product which reflects our ideals about the kind of products we aim to build. Getting to the crux of what i want to share in this blog-post, I just wanted to share our experience on the entire registration process for the start-up briefly and the hiccups we faced along the way. As soon as the company was officially registered, we were soon on the fast track and currently, things are moving as quick as greased lightning! As the current scenario is proving to be highly ideal for aspiring entrepreneurs, hope the information in this post helps all you aspirants out there to speed up the entire registration process and avoid the roadblocks which we faced, especially those in Karnataka. My dad is an attorney, and one of his clients is a Chartered Accountant so we had the advantage of professional guidance from a close acquaintance. As we were novices in this matter, he was able to clear up several issues bothering us regarding the company registration and give us crucial pointers. He gave us three options, to register Einstasoft as a firm , as a private limited company or as a public limited company. The last two , we were informed, would turn out to be pretty expensive, approx more than Rs.25,000. As our startup is completely self-funded at the moment, a major chunk being the prize money from Google summer of code, we came to a decision that Einstasoft would first be registered as a firm. After a while, we could move on to being private limited and then finally a public limited company as time goes by. The first thing to be done was obtaining a Rs.1000/- stamp paper in the name of the company i.e Einstasoft from one of the Sub-Registrar Offices in Bangalore. Due to security issues, Stamp Papers aren’t available in State Bank of India or any other nationalized banks. We received a mail from the Chartered Accountant regarding the partnership deed, The deed had details of the company, the shares in profit of the partners, and additional valuable information about our start-up which are pre-requisites. The cost of registering as a partnership firm is around Rs.3,500/-. After a subsequent payment of Rs. 3500/- to the Chartered Accountant, we were half-way through the process! Basically, the Chartered Accountant takes care of going to the Govt and submitting the form to the concerned officer on paying a certain amount, so a major part of the company registration process is taken care of by him. We were just required to fill form 1 of the India partnership act. Applying for PAN in the name of the firm is a must for filing company tax returns. So we photocopied the partnership deed attested by a gazetted officer( in any of The Central Library) and submitted the PAN form in one of the PAN center's. A pan application costs around Rs.100/-. The entire registration process was successfully completed with approximately Rs.5000! For filing tax returns and accounting the profit/loss margin,every Company needs a Current Account in some bank. We thought of opening a current account in Canara Bank, Basavanagudi for our convenience and also because of our opinion that as it is a nationalized bank, we would be on the safer side in case of an economic crisis! · an introduction by a current account holder in any of the bank's branches. We were not aware of anyone who had a current account in the bank, and though it was not personally a easy task to find out about customers who could give an introduction initially, you might have a better chance at it. Luckily , my friend's mom was an employee of Canara Bank and she referred us to the Branch Manager directly, soon after which we were able to proceed more smoothly. The wheels have been set in motion and our Revenue Cycle will be starting from July 2010. Hoping that our efforts are rewarded soon and that we make some good profits with your best wishes. **A note of caution : Registering as a partnership firm has its own limitations. If anyone sues u , your personal assets are doomed with the company’s assets! As the chances of that are pretty rare considering that you have done your homework, it is still a feasible option for registering. As soon as your profits reach 2lakhs, you should register your firm under shop and establishment act. **Special Thanks to my beloved uncle Mr. Badrinath D N, IBM who believes in us and our startup, our FIRST INVESTOR!